Description: Unfired and in like new condition. This rifle is virtually identical to POF P-308 rifles, as Hogan used to make POF components before they went out on their own to produce complete rifles in 2011. It has been upgraded with a Timney-style drop-in single-stage match-grade 4lb trigger ($200) and KNS anti-walk pins ($35), ambidextrous safety selector switch ($30), CTR collapsible buttstock ($80), and ambidextrous bolt release. Easily capable of sub-moa accuracy out to 700+ yds. These are the most accurate, highest quality AR10 style rifles you can buy, why settle for less? Super slick NP3 finish allows the weapon to be run dry, without lubrication and cleans with a simple wipe of the rag, no solvents needed. Comes with one 20rd Pmag unless local laws prohibit it. Willing to accept credit card payment thru discreet Paypal transaction. Private sale, no FFL paperwork or fees to deal with if local; otherwise must ship to a dealer/FFL. Buyer to pay actual shipping fees (additional $30 if my FFL has to ship it). 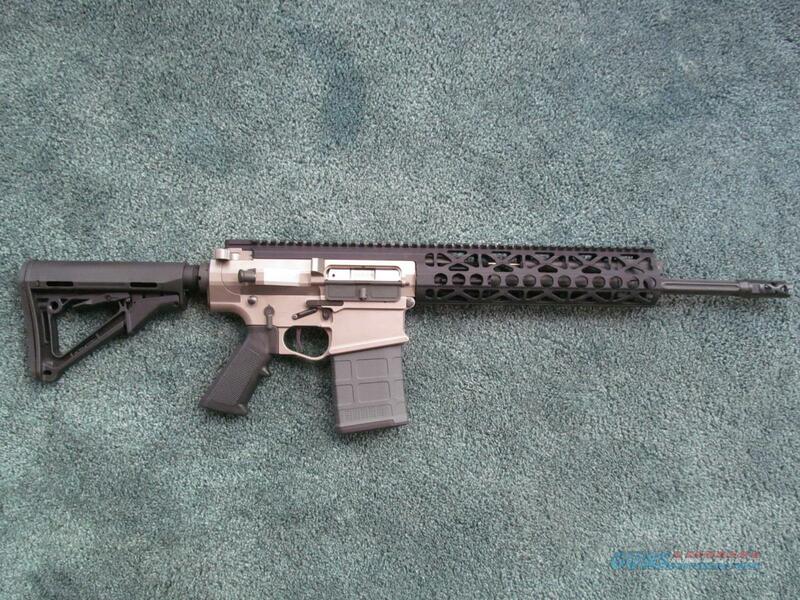 This is the highest quality AR10-style rifle on the planet, second to none for their reliability and sub-moa accuracy. This rifle is not broken in yet and as close to new as you'll get without paying the $3220 MSRP. Thinning out the herd to make room for a new toy, so my loss is your gain. MAGAZINES: Although we utilize P-MAG LR-308™ magazines, HOGAN firearms will fit Bushmaster, DPMS, Fulton, JP Rifles, Knights, Remington R-25, Magpul™, original AR-10 waffle magazines and any Mil-Spec .308 magazine.